In April 2018, Kate was appointed Chair of the Mayor of London’s Night Time Commission to provide the Mayor with independent advice on London at night. 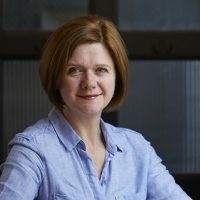 Kate is also a member of the Events Industry Board, London Food Board, Tourism Industry Council, Cultural Cities Enquiry and London & Partners Members Group. In February 2019, Kate joined the Advisory Board for the Institute for Industrial Strategy.